In winter 2015 Beevision had the opportunity to work with an organization called Ve’ahavta (www.veahavta.org) to create an animated video describing the great work that they do. “Tikun Olam” is the Hebrew term for the Jewish belief that it is humankind’s duty to support God’s work by “repairing the world”. For Ve’ahavata, that means working to enact social action and social justice, both locally on the streets in Toronto and internationally. 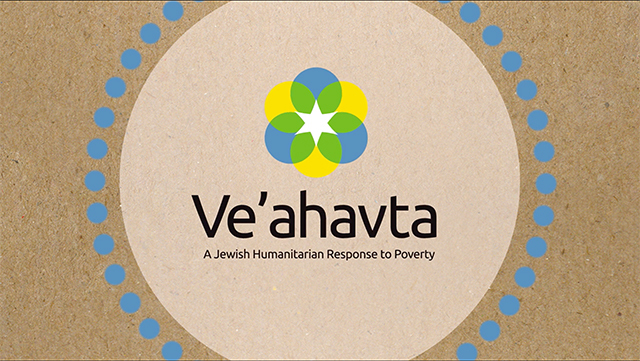 Ve’ahavta have some excellent programs such as their Mobile Jewish Response to the Homeless. Members of the organization make food, sandwiches and coffee, and then go out into the streets daily to bring the homeless some form of comfort, provisions including bedding, socks, toiletries, water and medication, and to listen to their stories. Ve’hahavta also runs a training program in partnership with George Brown College to help the homeless and disadvantaged gain entry into society and the job market. Our old friend and associate Vaclovas (Vac) Verikaitis was Ve’ahavta’s creative consultant and developed the script with Ve’ahavta’s Founder, President and CEO, Avrum Rosensweig. Vac then brought Beevision to the table and together with Ve’ahavata’s Interim Communications Director, Anne Ptasznik, we developed the video. A big thank-you to the talented Julia Chabad for developing the sketches that Nina Beveridge then worked with in photoshop. The talented Paul Hart applied motion graphics, camera work and sound design to complete the piece. Watch the Ve’ahavta animated video.